Alexander	Khaleeli is a researcher and student in the Islamic Seminaries. He has a BA and MA in Islamic Studies. It's a day like any other. You are walking or driving down the street, when suddenly you see the road ahead is closed. On the other side of the steel barriers, you see a long procession of people surging past dressed in unusual clothes, shouting strange words, waving banners covered in unfamiliar writing. As you get closer, drums and horns drown out all other sounds. Someone presses a leaflet about 'A-z-a-d-a-r-i' into your hand, but you don't brother to read it. You are utterly clueless as to the purpose of this procession which has delayed your journey. This is how many Westerners feel when they come across the Ashura procession that takes place every year in cities all over the Western world. It is a disconcerting, occasionally frustrating, encounter. Compare this to the people who encountered the caravan of Imam Husayn(a) himself. From the beginning of his journey until its tragic conclusion, he wasted no opportunity to tell people about his mission; he wrote letters, gave speeches and even invited travellers he met to sit and hear what he had to say. Even when he and his party were surrounded by enemies, denied access to drinking water and could not fail to see the utter hopelessness of their situation, he continued to proclaim the rightness of his cause and invite the soldiers who were there to kill him to reflect on his message. What a bitter irony it is, then, to think that our commemorations of Husayn's martyrdom might be obscuring the very message for which he gave his life. At its heart, this discussion is about Islam and culture. Quite often we juxtapose culture with Islam; when the liberally-inclined wish to criticise the niqab or gender segregation, they will call them 'culture.' By the same token, those who search for a return to the "pure" teachings of Islam will dismiss anything they deem less than authentic as 'culture.' In fact, when you speak to a lot of brothers and sisters about the sort of procession mentioned above they complain that it has nothing to do with Imam Husayn's(a) message - it is culture. Culture, then, frequently denotes something extraneous and un-Islamic that we desire to jettison; cultural baggage springs to mind. But this mentality does not do justice to the power of culture to promote the message of Islam in non-Muslim societies. Historically, the peoples of the world did not flock to Islam solely because of the rational apologetics of its theologians, but because of the power of its culture - from the awe-inspiring architecture of its cities to the simple manners of its people - and the way in which this culture communicated its teachings. 'Show, don't tell' is a mantra that may have some relevance here; it is one thing to 'tell' people about Islam, it is another thing entirely to 'show' it embodied in a cultural form, whether this is something artistic - a play, a novel, a video-game - or something social such as manners, rituals or festivals. In this way, culture becomes a medium through which the transcendent truths of Islam can be made manifest and accessible. Not everyone has the patience to read a philosophical treatise, but everyone loves a good story - why do you think Malcolm Gladwell sells so many books? The very mission of Imam Husayn(a) exemplifies this principle. During his life, there were many people speaking out against the tyranny of the Umayyad regime, but no one was willing to take any action. Had Husayn restricted himself to delivering speeches against the government, his message would not have had the same impact. 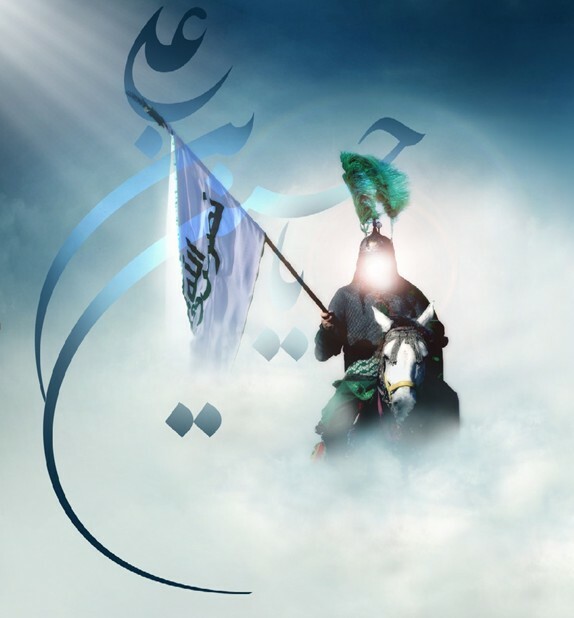 But by exemplifying his message through action and paying the ultimate price for it, Husayn taught not just the people of his own time but people for centuries to come how to resist tyranny. Similarly, culture should not just be words but action too; an exemplification of our beliefs rather than just a statement of them. And if Husayn and his companions were willing to give everything for the sake of their message, then our public commemorations of their sacrifice must convey that same message to our audience today. Culture, then, should give a tangible, visible form to Islamic teachings. But what about when it has the opposite of the desired effect? In these situations the problem lies in a disjunction between culture and context. The science of rhetoric teaches us that eloquent speech must not only be formally correct (fasih) to deliver its meaning, but also appropriate to the setting in which it is being uttered. The Arabic word for eloquence (balagha) literally means 'to reach,' so eloquent speech is speech whose meaning 'reaches' its audience through excellent delivery. A similar principle applies when talking about culture; good culture is culture which effectively conveys its underlying message, and to do that it has to be appropriate to its setting. In other words, we need to know our audience. To return to the original example of the 'Ashura marches that take place in Western cities every year, which usually consist of a long procession of people, dressed in black, beating drums and chanting slogans in their native languages (Arabic, Farsi, Urdu) with little or no English on display, perhaps with a few volunteers rushing from one bemused onlooker to another trying to explain what all the commotion is about, we must ask ourselves: what is the purpose of these marches? If it is to raise awareness of Imam Husayn's(a) message, how can we achieve that if our slogans and banners are not in the language of our host country? On the other hand, if the only reason we are marching through our local city centre and shutting down roads and public transport for several hours is to replicate the kind of experience we have "back home", then this is more for ourselves than Imam Husayn(a), and we ought to seriously consider whether this is something he would have approved of? However, there have also been some good examples of matching culture to context. In Britain, there is an annual blood donation drive in Ashura, university students hold 'Ashura awareness week', Islamic centres host exhibitions and invite people from the local non-Muslim community to visit; there are plays, poetry recitals and historical-style documentaries. All of these are excellent initiatives which serve to spread the message of Imam Husayn(a), and we need plenty more of them. But aside from personal intuition how can we tell culturally-appropriate activities from inappropriate ones? What criteria can we rely on? I would like to propose three interrelated principles: authenticity, accessibility, and universality. Authenticity means a number of things; first of all, that there is a genuinely Islamic message at the heart of this cultural form (rather than, for example, a nationalistic one); secondly, that nothing in this cultural form goes against the teachings of Islam (for instance, turning the Ashura procession into a carnival); and thirdly, that this is something organic to the environment in which we wish to hold it and not simply "imported" wholesale from somewhere else. Accessibility means that the cultural form in and of itself succeeds in conveying an Islamic message to its audience. For this, we must ask: If a non-Muslim Westerner with little or no knowledge of Islam witnessed this particular activity, would they be able to understand what was going on and appreciate its significance on some level without needing anyone else to explain it to them? Compare the bemusement many people feel when they first witness an 'Ashura procession to how they would feel entering a well-planned 'Ashura exhibition. Finally, universality means that the message we are trying to convey is something that all people can appreciate. This doesn't mean we have to please everyone, only that the message we are trying to convey - for instance, through a play or a documentary - is something that a non-Muslim can draw inspiration from. Perhaps a play emphasising the intercessory powers (shafa'ah) of Imam Husayn(a) on the Day of Judgement would not resonate well with your average Westerner, but one stressing Islam's concern for justice and human dignity would. To these principles I would add the recommendation that whatever we do takes into account as much as possible the local culture of where we live; we talk about the 'West' but - while all 'Westerners' certainly exist in the same cultural universe - there is not one monolithic 'Western' culture (no more than there is one monolithic 'Islamic' one); culture varies right the way down to the local level. So our most successful public activities will be those that are best adapted to the culture where we operate. By the same token, we must also bear in mind that technology is not culture; just because something is on a television station, YouTube or uses modern technology does not automatically make it appropriate for a Western context. These are all mediums, ways in which culture can be delivered to people, but they are not the culture itself. So while it is necessary to adopt these vehicles for delivery, if the content we put in them is not suitable, their benefit to our cause will at best be negligible and at worst harmful as they will expose a wider audience to regressive and obscuring cultural forms. When the survivors of Husayn's(a) expedition returned to Medina, they pitched their tents at the edge of the city and invited people to come and hear the story of their ordeal. Today, centuries have passed, but the power of Husayn's message lives on in no small part because Zaynab(a) (the sister of Imam Husayn) and the rest of the Prophet's Household were determined that his sacrifice should never be forgotten. Today, we have been entrusted with his message. It's up to us to do it justice. Originally published in islam today magazine UK, Vol. 2 No. 13 | November 2013. It has been republished here with permission.